Happy Saturday to you all! 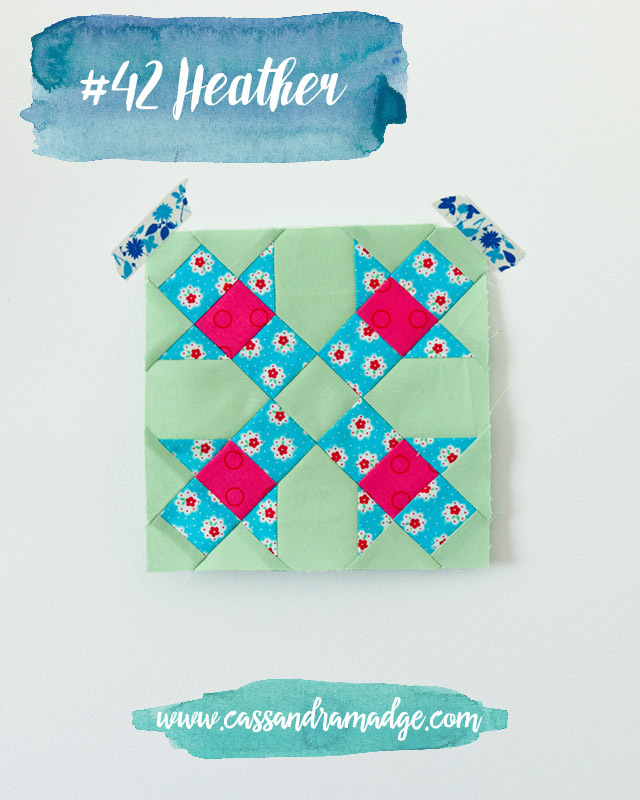 I am still a week behind in my Farmer’s Wife blocks, but I took a little extra time this week to show you some tips and tricks for Foundation Paper Piecing block 42, Heather. 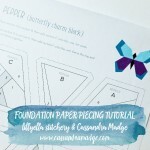 If you are still uncomfortable with paper piecing, I have posted a two-part Foundation Paper Piecing tutorial which takes you through the process, step by step. You can find Part 1 HERE and Part 2 HERE. 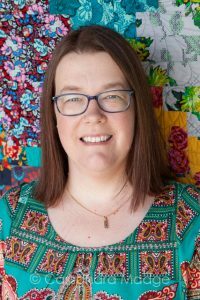 If you missed the official tutorials for Heather, you can find Angie’s HERE, Marti Michell’s alternative block, Helen, here and the official blogger for Heather was Ms Midge, her tutorial and great paper piecing tips are HERE. I didn’t expect to like Heather with her odd shaped pieces and rocket ship appearance, but once I teamed her with some of my new Lecien Flower Sugar fabric which arrived in the post at the right time, plus some funky pink and green, Heather turned out pretty cute! 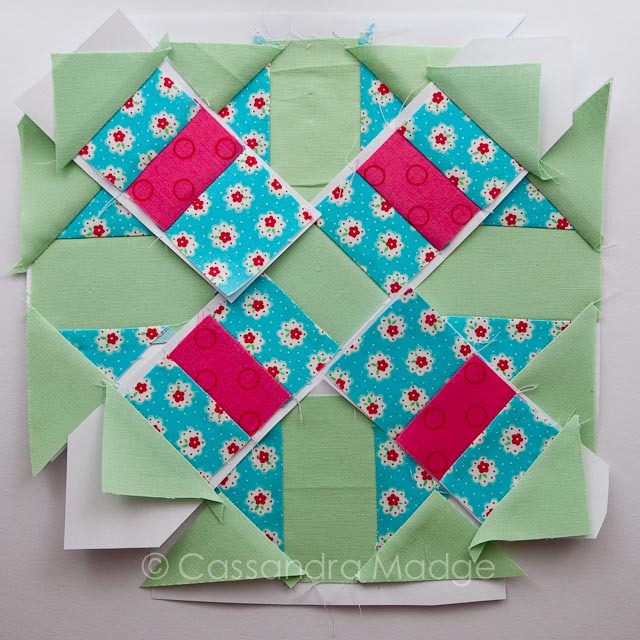 Stage one of paper piecing for me is always about cutting the pieces. I hate wasting fabric, so I try to find a Marti Michell template that matches the pieces I’m using to speed up the process and streamline my piecing. I am sure I don’t need to tell you that I’ve got a lot on my sewing desk at the moment, I certainly don’t have time to dawdle. 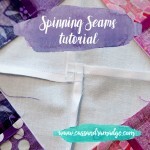 The answer is chain piecing all that I can, so I minimise the time wasted trotting between sewing machine, pressing board and trimming them on the mat. 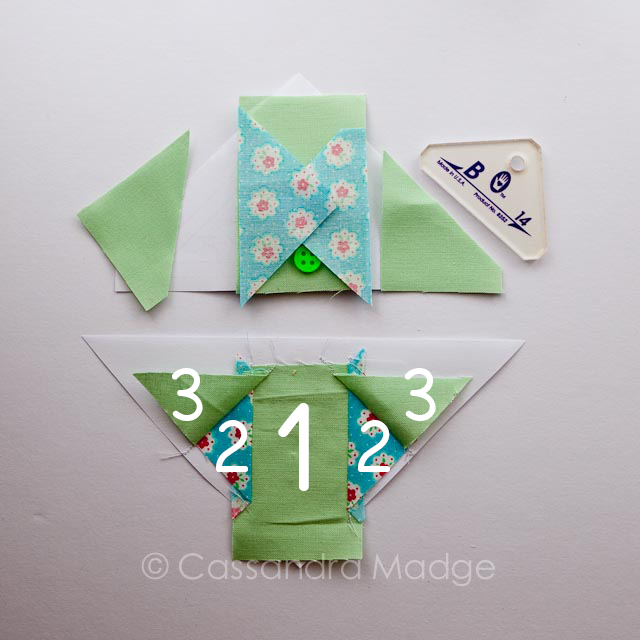 All four triangle pieces can be assembled in only 2 stages – I changed the numbers from the pattern and put the largest central piece down (2 1/4″ by 3″), then the number two triangles can be both sewn down, without needing to move away from the machine. 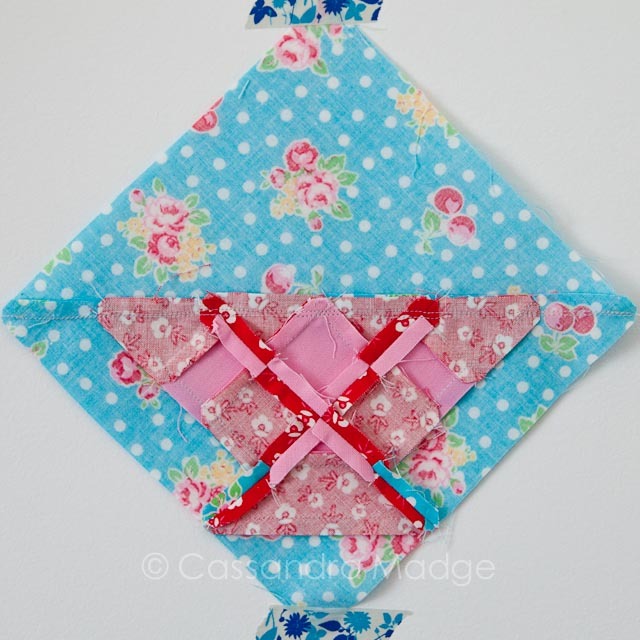 Press those two seams on all 4 sections, trim them back to 1/4″ and then you can sew the two number 3 seams. Finally press all four blocks and trim them down to size. 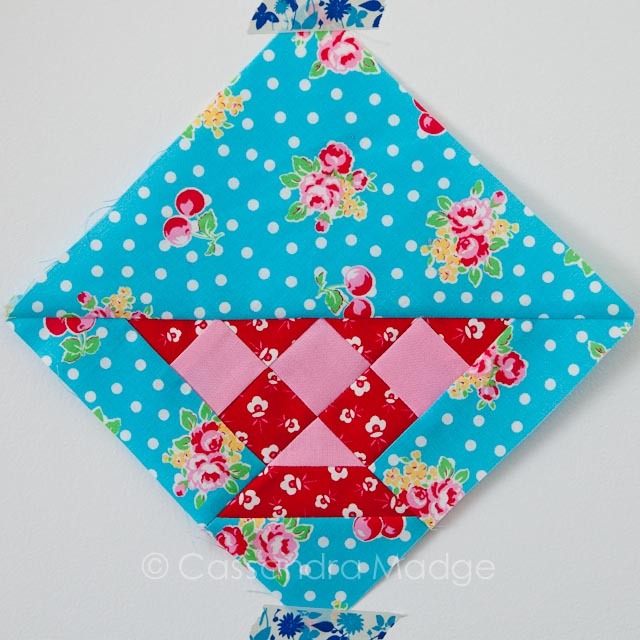 The perfect size triangles for this were the Marti Michell B14 templates. 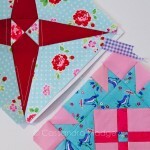 I also used them for the green end triangles on the long centre cross pieces, shown below. 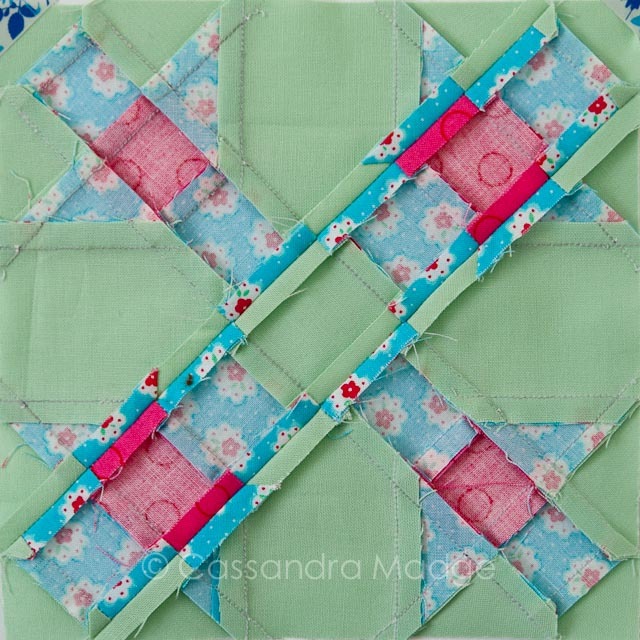 Similarly, we chain piece the cross parts – sewing all the number 2 seams at once, then pressing and trimming, going back to sew the number 3 seams and so on. 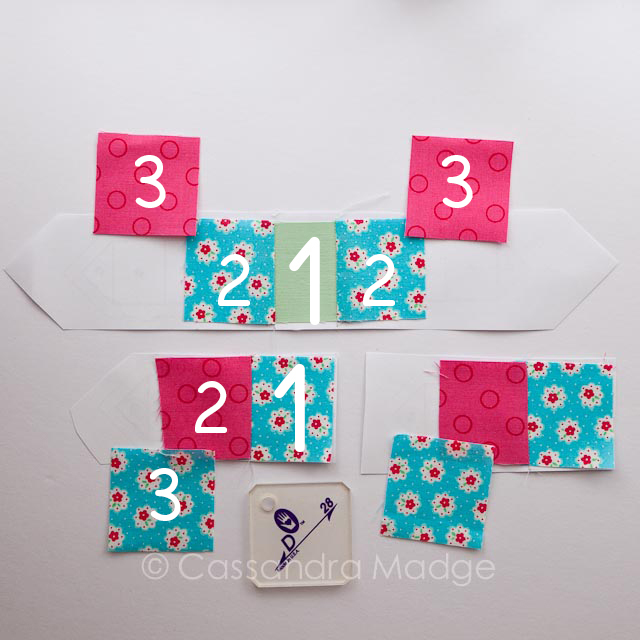 Although these pieces are rectangular, I found it simplest to cut all mine from the Marti Michell D28 square template. As you can see, there is no need to cut the engineered corners out, so we can whip through these nice and fast. Here are all seven sections pressed and ready for trimming. The seams could probably have nested a bit better if I hadn’t changed the piecing order, but I just had to speed up the process as much as I could this time. 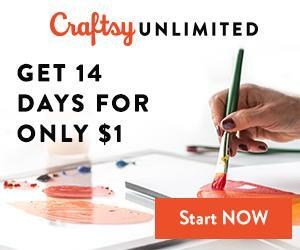 I hope that these little tricks might help you save some waste and some time! 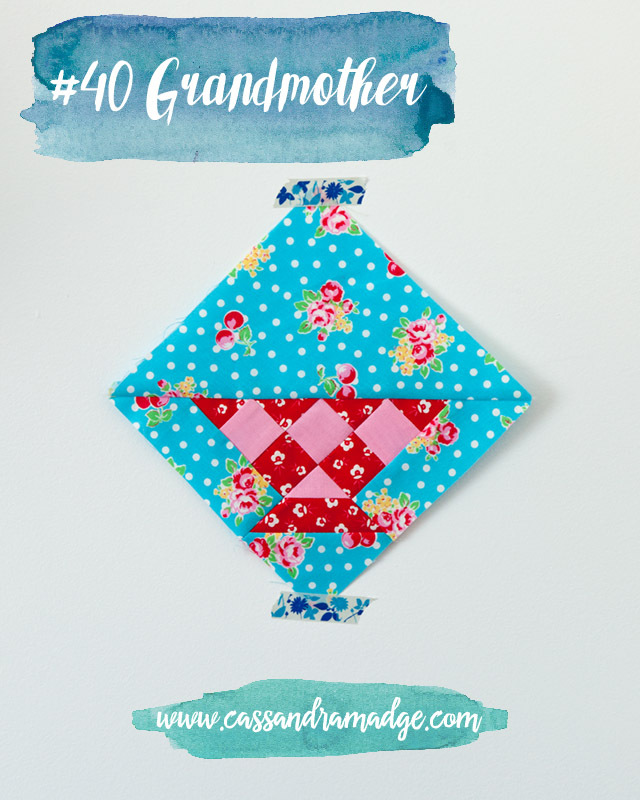 Next up we have Grandmother, who I was worried about piecing but turned out to be a kind and gentle grandmother with a garden full of cherries and roses! 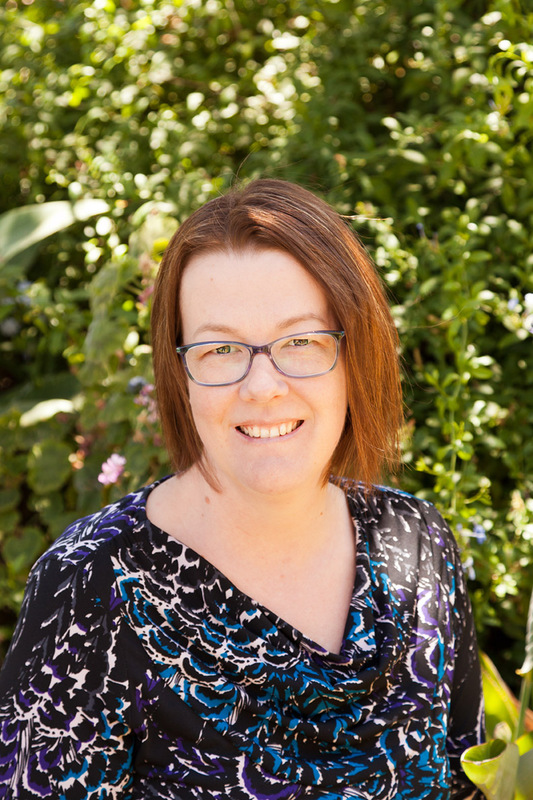 In case you missed them, Angie’s tutorial for Grandmother is HERE, Marti Michell’s tutorial for it is HERE, and the official blogger is the massively talented (and Australian) Jess from Elven Garden Quilts, her tutorial is HERE. Oh goodness these Lecien prints are a dream to sew with. 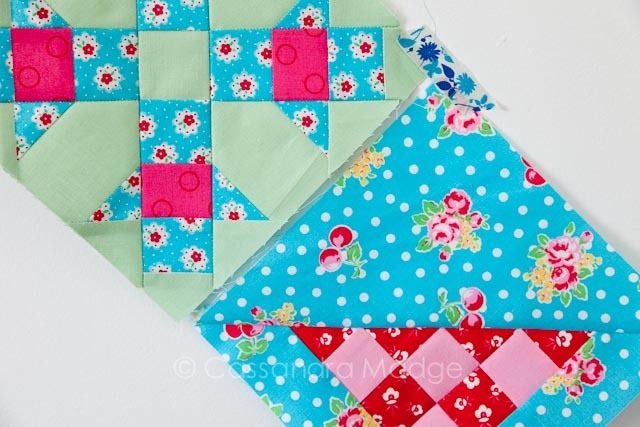 They have a lovely fine hand, I will be picking up a few more prints to use in the rest of this quilt. 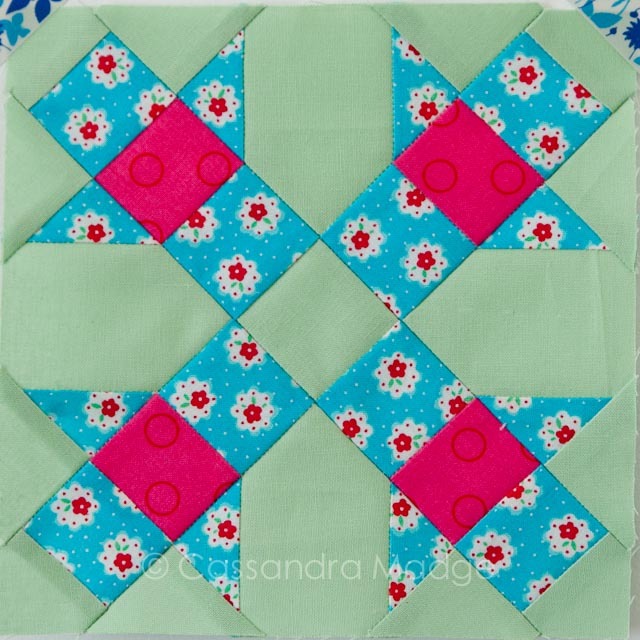 I followed Marti’s template instructions completely for this block and it turned out very well, although I had to have a second try at the centre seam across the the top of the basket in an effort to catch my triangle points more neatly. So here are these two bright beauties. 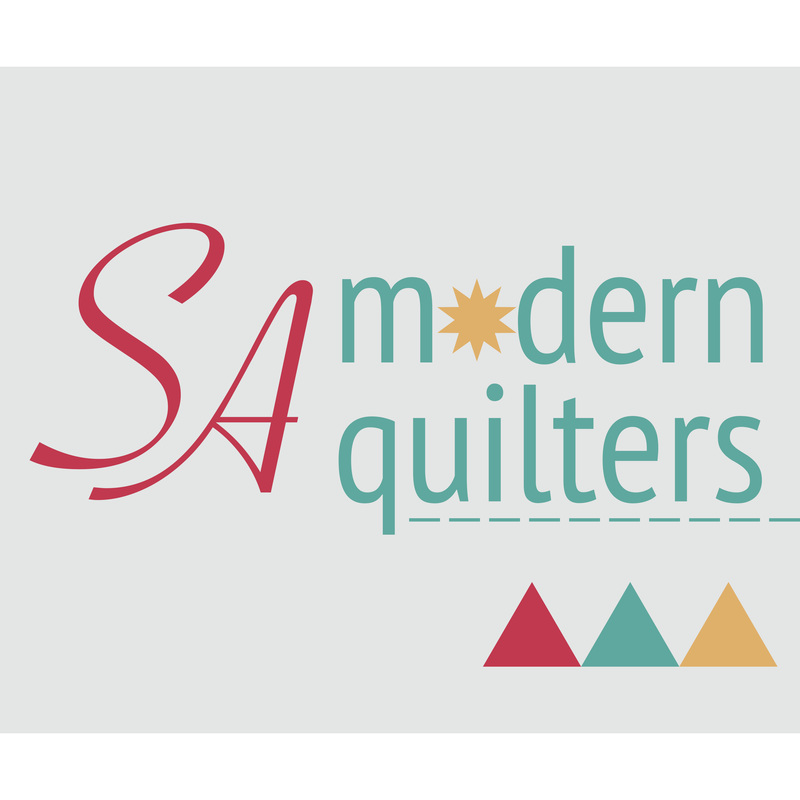 I do hope that these hints are useful to you among the vast range of skills that we are all learning over this year of quilting. Next up for me is Dolly! How is your garden going? Don’t stress if you are skipping blocks or feeling behind. There are always plenty of chances to catch up! 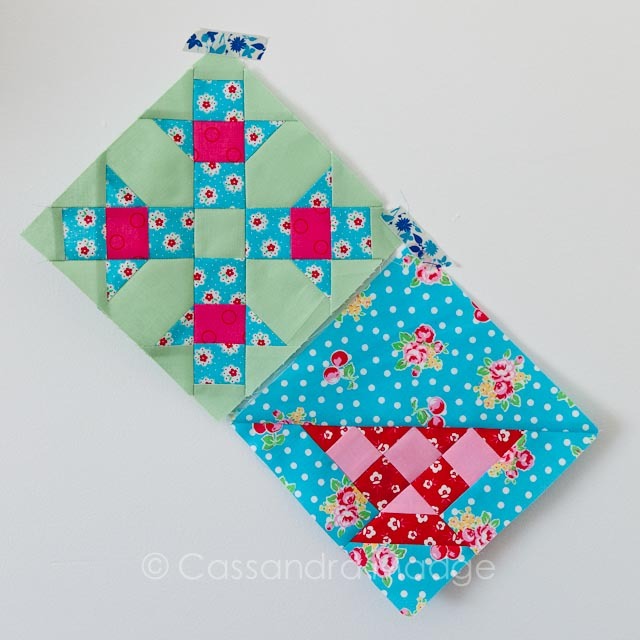 Let me know in the comments if you need help with any specific blocks or techniques. **Disclaimer** I received the Marti Michell templates as part of my participation in the Farmer’s Wife 1930’s sew along. However all opinions are my own.